StrikeMaster® Lazer Drill Assemblies. Replace your tired, dull drill! 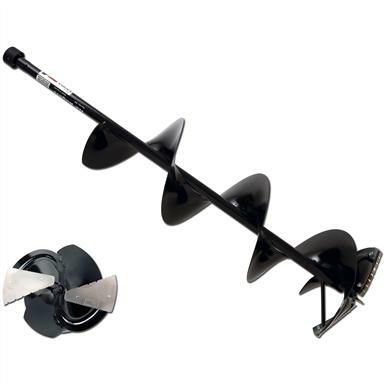 Having an extra auger is a darn good idea! It gives you the option of cutting different size holes in the ice, or if your present drill has seen better days, replace it with one of these high-quality Assemblies! StrikeMaster Drill Unit 8 Lazer Bit Gas / Electric is rated 5.0 out of 5 by 1. Rated 5 out of 5 by NONE from Great price This thing cuts ice like butter. Use a Rocket to get through ice faster. Available in 8" and 10"
Drills through ice like a hot knife through butter. Cut big jobs down to size with this powerful processing tool.